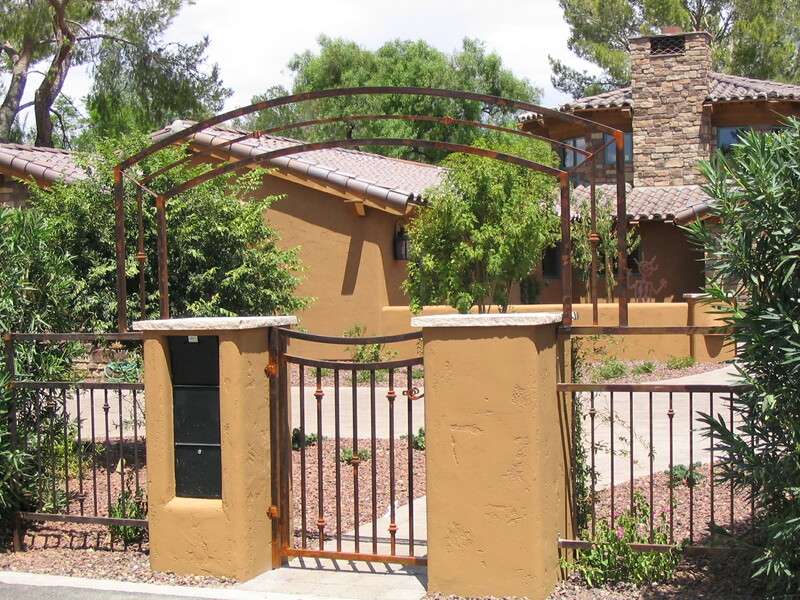 Santa Fe Custom Iron Works is a custom fabrication shop specializing in the production of Custom Wrought Iron for Homes and Businesses alike. We produce a wide variety of items made to your specification and design or we will be glad to help you with a design of your own to fit your particular need. Everything is built on-site and all forging is done the "Old Fashioned" way using a forge for heat and a hammer to shape the material. Santa Fe Custom Iron works produces a multitude of items that is by no means limited to the items you might see on this sight but includes --Furniture -- Doors -- Gates -- Fencing -- Fireplace Screens -- Balcony Railings -- Staircase Railings -- Spiral Staircases and many other items. The Company and its Craftsmen provide over 75 years of on hand experience dedicated to Quality and true "Old World Craftsmanship". © Copyright 2006 Santa Fe Custom Ironworks All rights reserved.